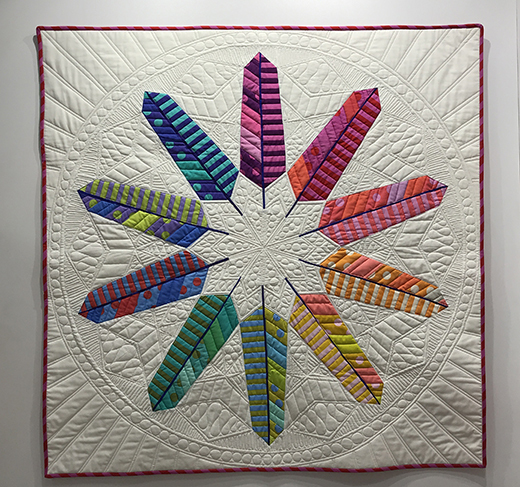 Beautiful fabric feathers radiate from the center to form a colorful medallion. Stripes and dots add to the fun! This Flock Together All Stars Quilt Designed by Tula Pink, The pattern is available for Free.